Barnes & Noble Announces iPad App: Will Apple Really Let It Fly? Apple‘s history of eliminating apps that compete with its own is as old as the App Store itself. So why, exactly, does Barnes & Noble think they can get away with submitting its eReader app for the iPad? From browsers to music players to email, Apple firmly removes any app that could conceivably compete with its own first-party apps. 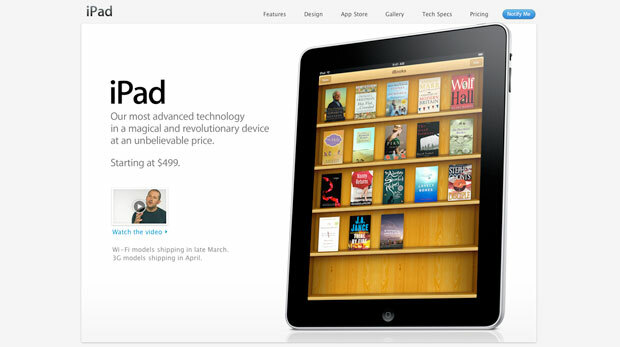 And with the iPad staking its claim as the ebook reader to beat, Apple is opening up its own iBooks bookstore. Yet Barnes & Noble, makers of the competing Nook and its similarly competing B&N eReader store, announced that they’ll be bringing a custom version of the store to the iPad at launch. What? The B&N eReader app is already available in the App Store for iPhone and iPod Touch, complete with its own micropayment system for buying books, but then, Apple doesn’t have its own bookstore for that platform. Why would Barnes & Noble make this announcement, knowing full well that traditional Apple would smack it down immediately in the approval process? Because Apple might just let it go. The result of Barnes & Noble’s app (and Amazon’s, for that matter) appearing in the app store would just further serve to place the iPad head and shoulders above the Nook and Kindle in capability. Both B&N and Amazon have huge, rich ebook stores–likely bigger than iBooks will be at launch–and if the iPad has access to them, it takes away one more reason to go with a competitor. It’s not the only reason; the Nook’s and Kindle’s e-ink screen is still easier on the eyes than the iPad’s LCD, but it’s still one step toward making other ebook readers obsolete. Either way, Apple wins.